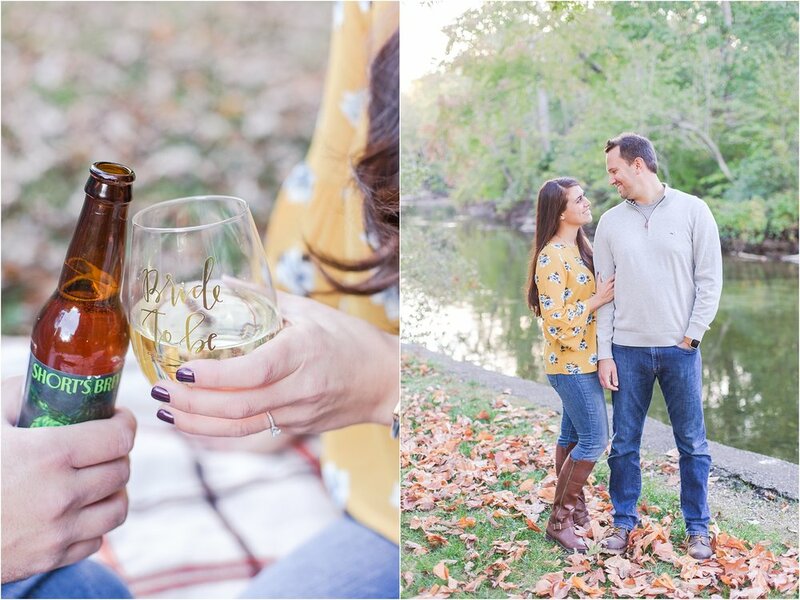 I think it was the longest initial meeting I have EVER had with a client, but I think that just goes to show how amazing Allie is and how we were meant to be friends, not just photographer and bride! 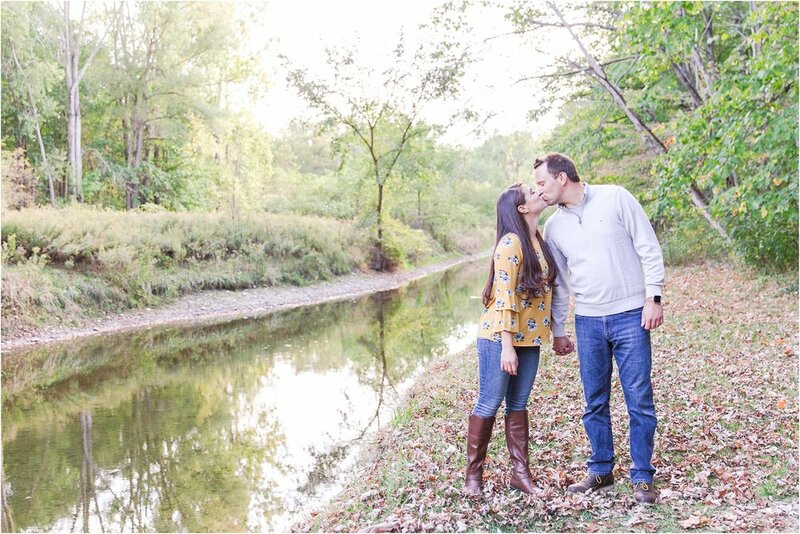 I met Jason for the first time at their engagement session which took place at their home in Dexter and at the Hudson Mills Metropark. I feel like so much of my personality also aligned with Jason's right down to the fact that we both love Chinese and Mexican food as well as tattoos! 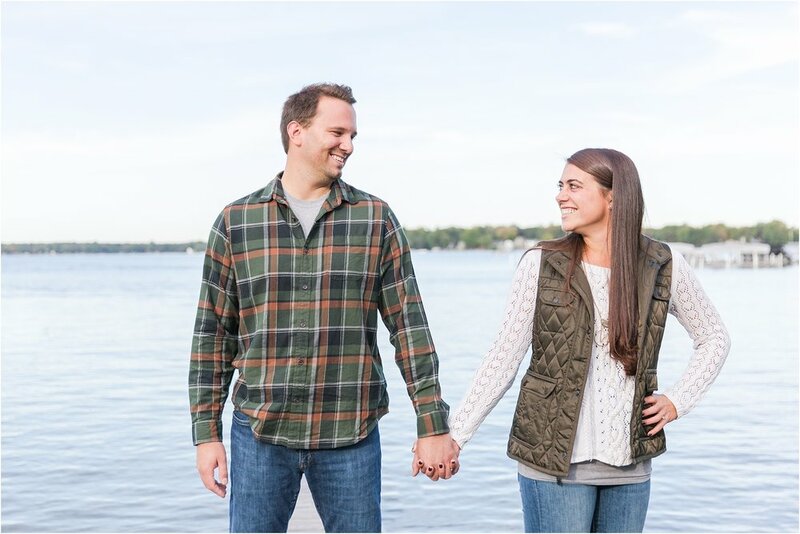 For the past 6 years, Allie and Jason have traveled Up North to Traverse City, MI on 15 different occasions because Northern Michigan and TC and it holds a very special place in their hearts. 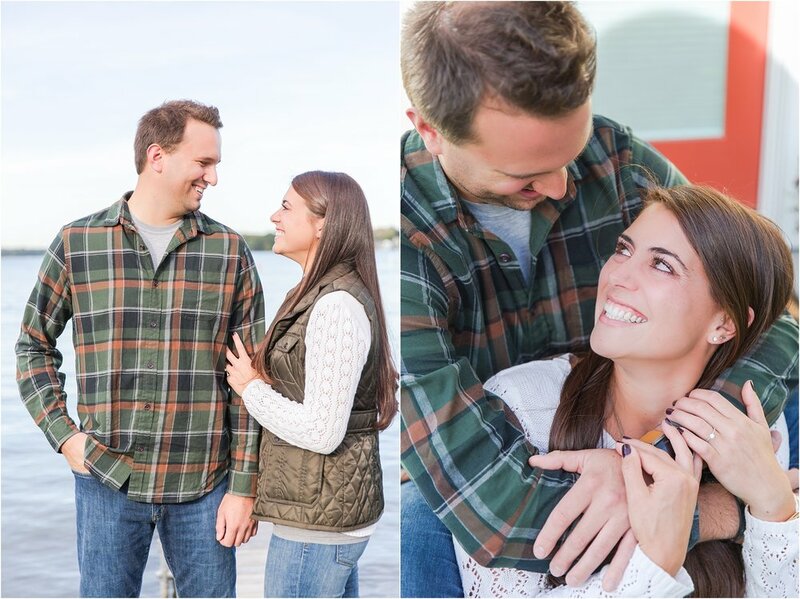 On February 10th, 2017, Jason and Allie were in Sutton's Bay enjoying the quaint downtown shopping when they made plans to go sightseeing at the Sleeping Bear Dunes with two of their friends. 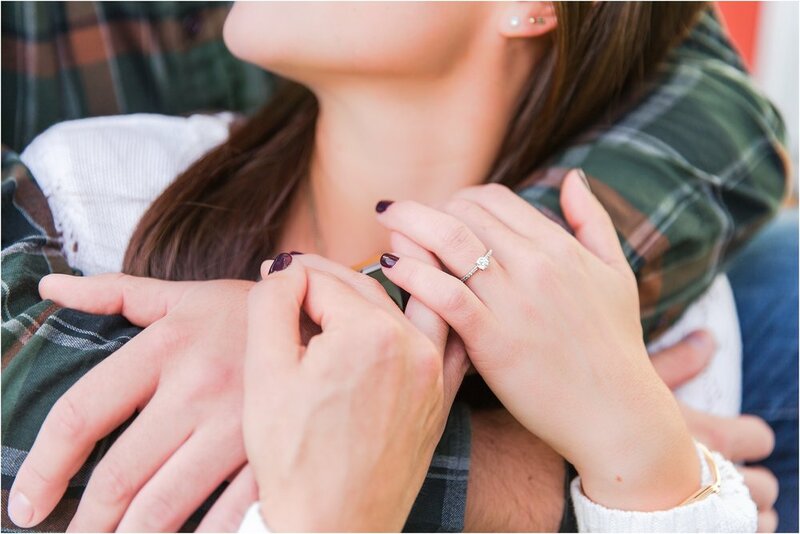 After climbing the sand dunes and reaching one of their favorite outlooks, Allie was having fun showing their friends the amazing views over Lake Michigan while, unbeknownst to her, Jason was behind her and down on one knee!! Allie took a photo of her friends and once she handed the phone back to them they started taking photos of her. 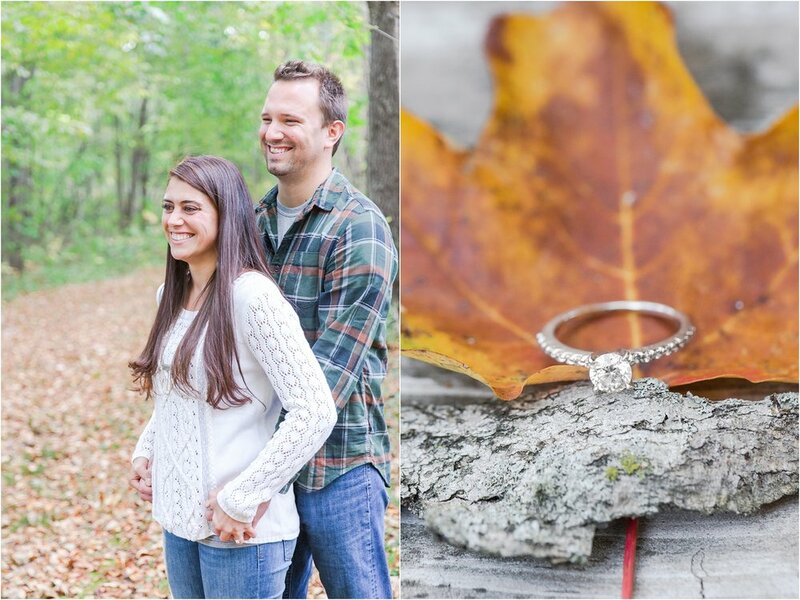 At first she was bit perplexed, but quickly spun around to see Jason proposing! 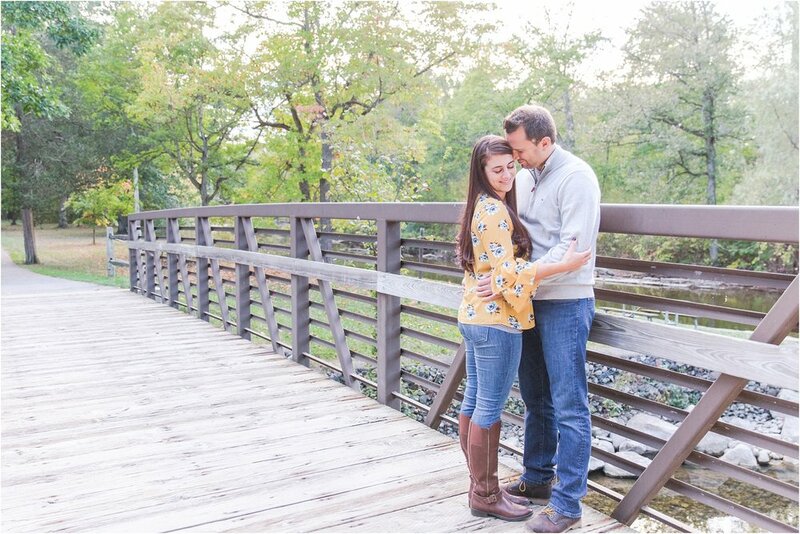 Allie was truly surprised, but elated to finally hear Jason ask, "Will you marry me?" 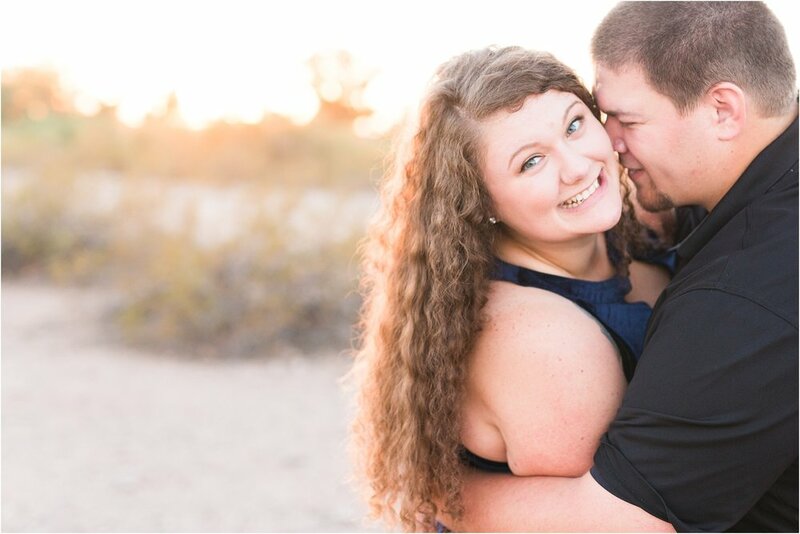 before excitedly accepting! 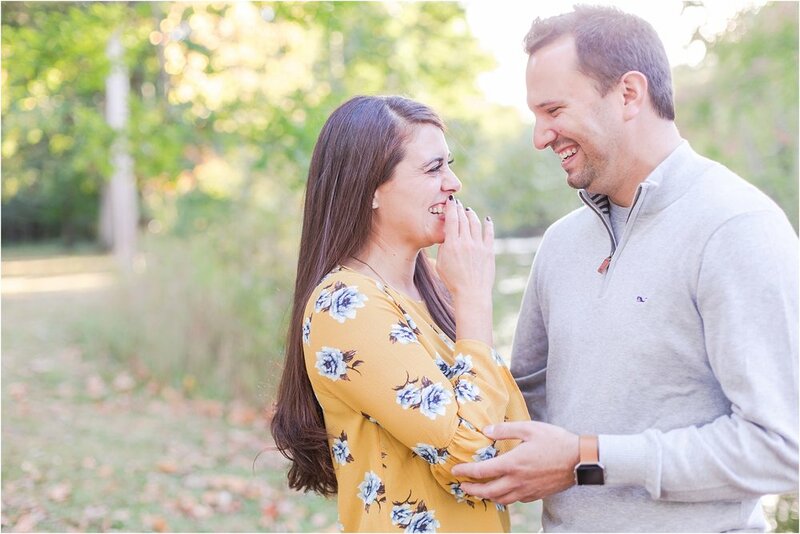 Allie and Jason, it's because of couples like you that I feel like I am the luckiest person on the planet to call what I do a job. 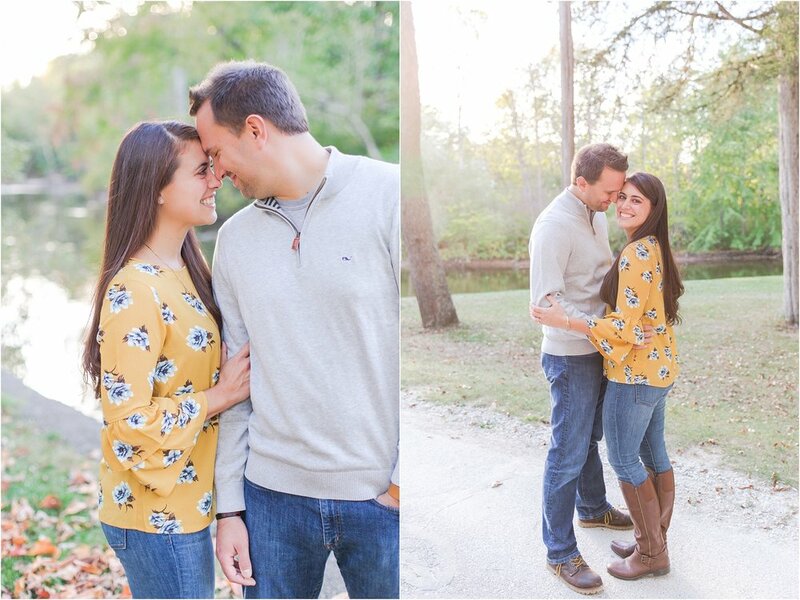 You both have such magnetic personalities and were just so darn cute together! 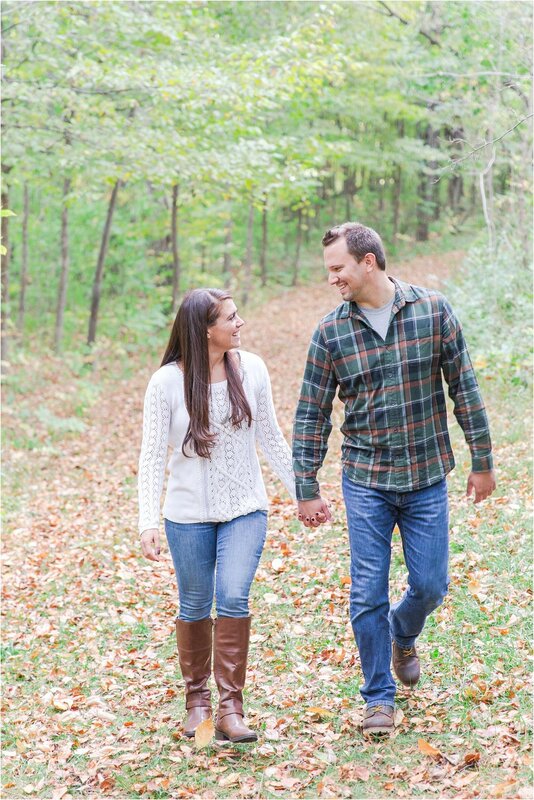 I can't wait to photograph your wedding day next year! 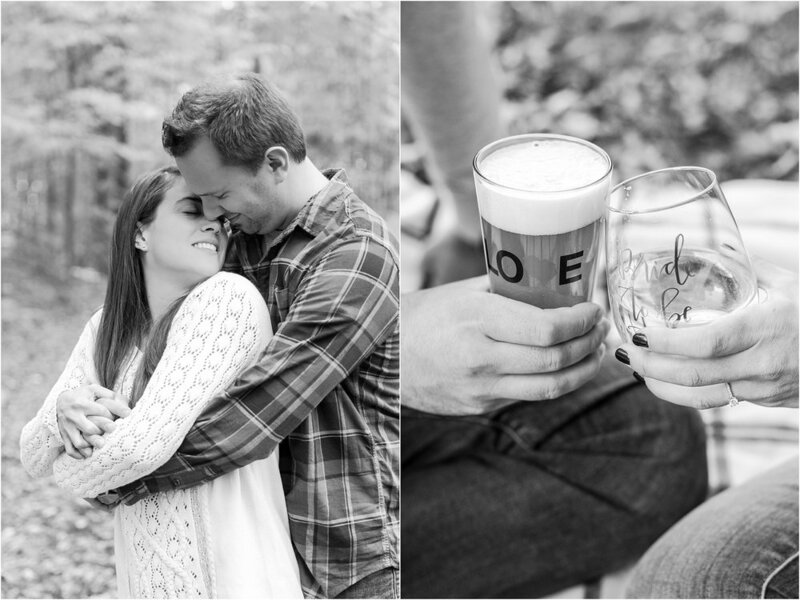 I hope you enjoy some of my favorites from Allie + Jason's Engagement Session.